"I'd personally love to hear more of Chloe Albert...she's got a real interesting sound"
"Chloe Albert's solo percussion and vocal performance was in my words- "magical" and changed the night into something that I have not witnessed in a while." 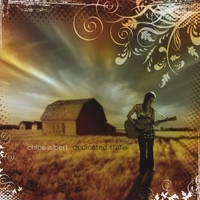 "Chloe Albert's amazingly assured debut album 'Dedicated State'"
"Wow, this girl can sing!" 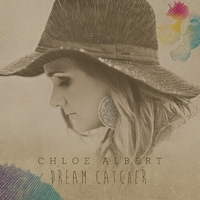 "In the few years following Chloe Albert's graduation from the music program at Edmonton's Grant MacEwen College, she was kept busy piecing her debut album track by track, line by line, fitting in the writing, recording, arranging and producing in between life and work. This comes across when listening to her first recording, a beautiful gem she calls 'Dedicated State': it is clear that this is a woman who crafts her songs thoughtfully, writes the narratives as a storyteller would, taking her time to piece it together just right." "Canada has given us a lot of very good singer-songwriters. Chloe Albert is a name we should add to the list. [Dedicated State] It's the epitome of a fine singer-songwriter record, with intelligent, literate writing, appealing vocals and very tasteful production and musical arrangements"
With the storytelling ability to rival the great Folk artists, her versatility and bluesy rhythms gives her a rich, authentic sound fitting easily into folk, roots, country, soul and jazz. Winning awards which include “Emerging Artist of the Year”, “Female Artist of the Year”, “Album of the Year”, “Most Played Album of the year” plus a Juno nod, Albert’s success is a result of a diligent, hardworking artist with a sincere, irresistible, and easy-going charm. Her overarching theme of hope throughout, Albert has a way of projecting buoyancy without it ever coming across as saccharine. A highly collaborative and community-minded artist, Albert has been a working musician for the last decade, actively involved in the Edmonton and Alberta Arts scene. Her next album is scheduled to be released in 2018 and promises to showcase more of Albert's collaborations.